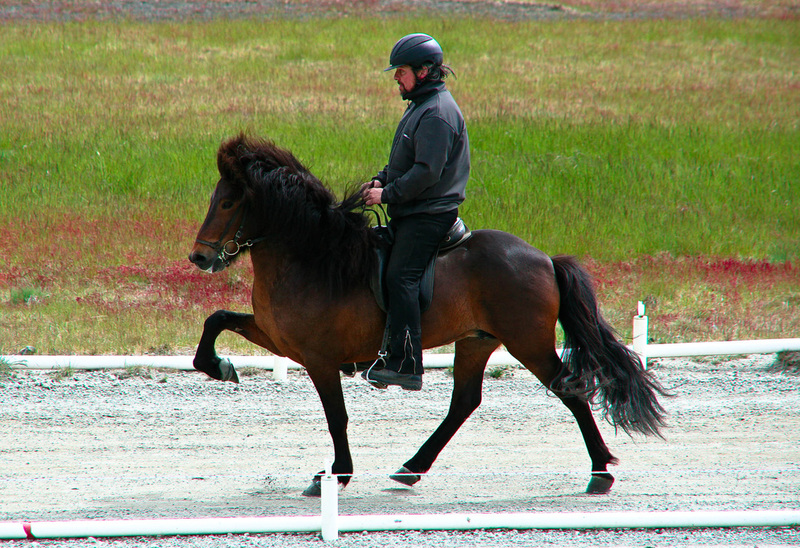 Promising five gaited mare with strong bloodline, great movements and spirit. 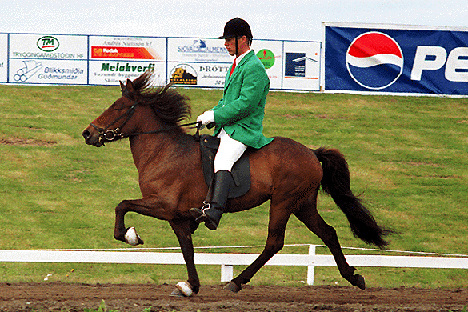 Daughter of Kjerúlfur frá Kollaleiru (8.45) and Hríma frá Hofi (8.11). 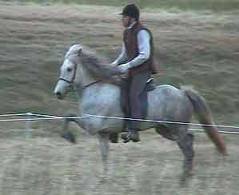 Hnikka frá Blönduósi is a promising five gaited mare with great movements and spirit. 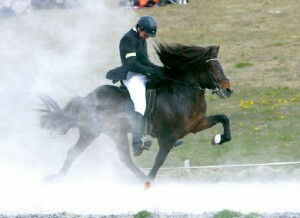 She has good bloodline, daughter of Kjerúlfur frá Kollaleiru (8.44) and Hríma frá Hofi (8.11). 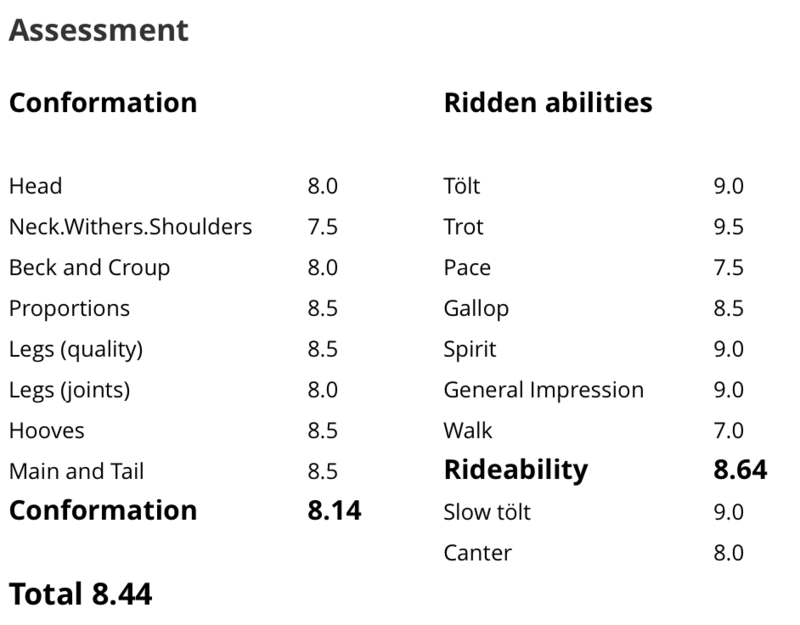 Kjerúlf has received 8.64 for Riding Abilities; 9 for tölt, 9.5 for trot, 8.5 for gallop, 9 for spirit and 9 for general impression, he has also 9 for slow tölt. 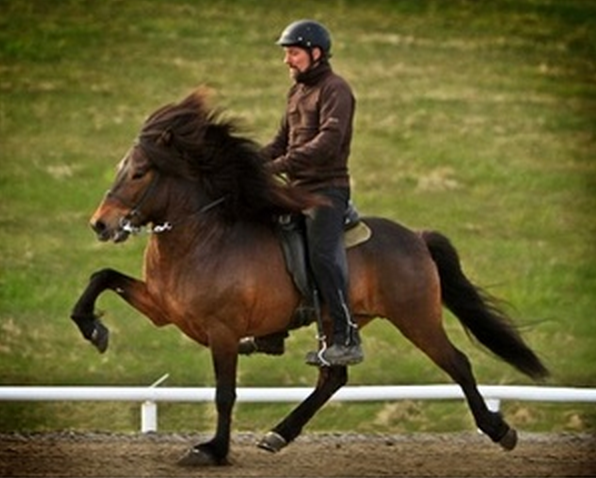 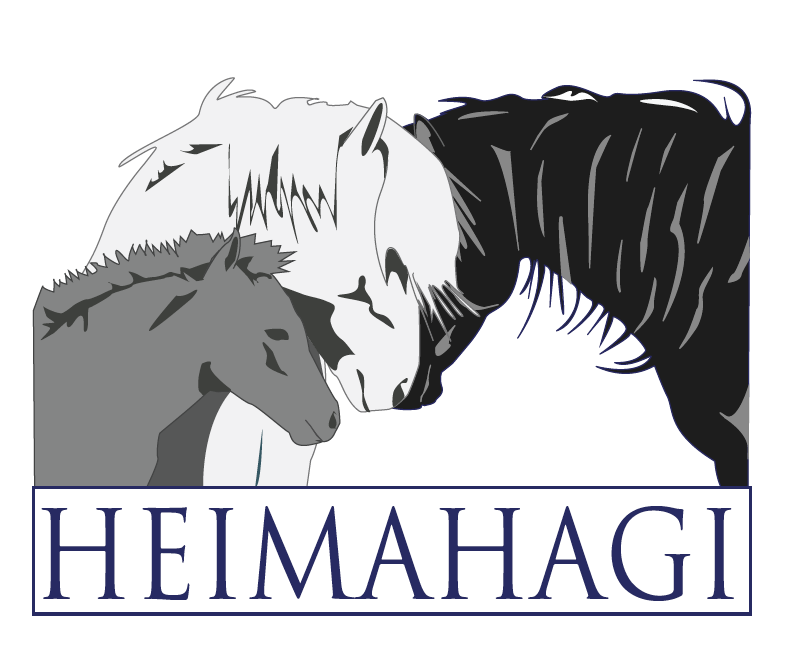 Hnikka's mother, Hríma frá Hofi (8.11), is daughter of Kolfinnur frá Kjarnholtum I (8.45), he had 8.84 for Riding Abilities; 9 for tölt, 9 for trot, 9.5 for pace, 8.5 for gallop, 8.5 for temperment, 8.5 for character and 8.5 for general impression, and Hlökk frá Hólum, mother of Hrimur frá Hofi. Hnikka will be in a Breeding Show next summer. 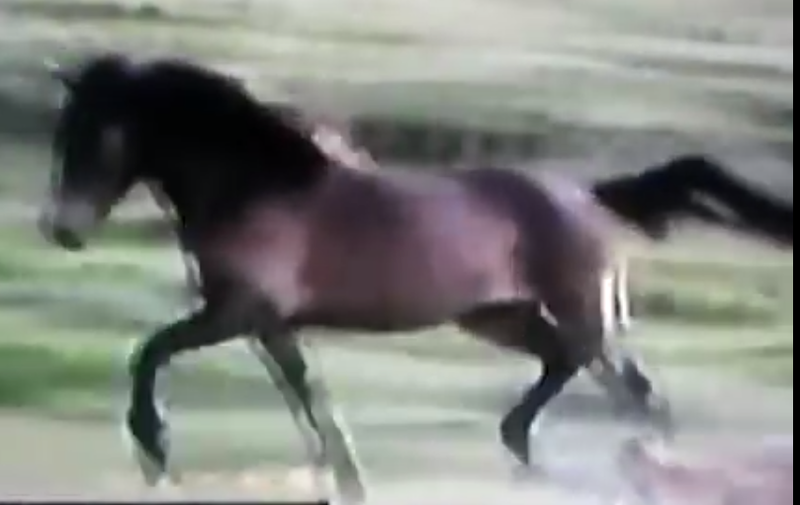 Here is a video of Hnikka frá Blönduósi, it's rather shaky and blurred but we can although see her great movements.